Renee Walendowski (Secretary) called the meeting to order at 7 pm. Dawn is absent due to oral surgery. Renee is the lone Board member in attendance. Lupe is stepping down as vice president. John Barbier (Treasurer) is out of the country. Next competition theme is “Bicycles”. Leader is Lori Curtis. Entries are due June 1. TMCC has lost its non-profit status. It will cost $600 and some paper work to regain. Renee asked how many folks would be members next year to gauge the level of interest. Cheryl Sweers has worked on the issue and has filed back paperwork for 2013-2017. Club may not have enough money to fund non- profit , room rental and the same awards and food provided in the past, etc. without assistance. Discussion ensued about the value of non-profit status, what do other similar clubs do, is it simpler to file annual tax return and pay taxes ? Jeff Morse will research the options. With budget restrictions there is not adequate funds to make the initial payment for the Club calendar fund raiser, which made about $80 last year. Club seems to support no calendar this year. Board will decide if calendar fundraiser will move forward or not. Lupe has moved out of town so the club needs a new VP, which comes with a lot of things to do including outings and helping the President plan for meetings. Discussion included the need for more involvement from club members to plan/oversee Club meeting speakers, classes and outings. Dawn cannot do it alone. Discussion included how to communicate events. Not every member is on Facebook. The website is not consistent about emailing notices. Emails may be the way to move forward. Outings need to be somewhat flexible as plans change due to weather, car issues, etc. Website updates may not be good to announce outing changes. Discussion about the outings being both spur of the moment, just a few hours and local in addition to all day, more distant outings, which could be less frequent. Lori Curtis volunteered to oversee emailing events to members. Rifle Gap Falls planned outing had too little warning and was during the week, which limits participants. No-one RSVP’d so it was cancelled. Having 2 Facebook pages is confusing to some and discussion ensued about why we need 2 pages. Safety in privacy for outings is one reason. Members indicated this is a social club. The restrictions of the bylaws may be problematic. I phone competition photos were presented very quickly with no discussion as the meeting ran out of time. The results of the I phone competition: John Barbier and Cheryl Sweers tie for 2nd place, 1st place to Sharon Bradshaw with 24 pts. We will go over these next meeting for discussion. Dawn is passionate about many things. Her faith in God, the love of her life Doug and she also enjoys photography. 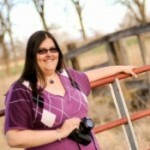 She has enjoyed traveling this beautiful country and loves photographing diverse landscapes and a variety of wildlife. She enjoys photographing High School Seniors, and doing head shots for music and theater performers. She continues to expand her portfolio in Night photography as well.